Please feel free to call directly at 07944 112333 or send an email by using the right hand column of this page to schedule an appointment and/or ask any questions you might have. Appointments can also be arranged directly with your GP, Consultant Psychiatrist, health care professional or employer. If you have private health insurance, authorisation will be obtained from your provider. Can I speak to Dr Harrison prior to our first meeting? Yes, you are welcome to speak to Dr Harrison before your initial consultation and ask any questions you might have. You are also welcome to email for information. Sessions are typically 50 minutes long. The first session gives you the opportunity to freely express your concerns and struggles as well as the things you would like to achieve by coming to therapy. Working in collaboration, you will receive clear feedback that helps makes sense of your difficult experiences and you will also be informed about the practical steps that need to be taken in order to help you recover from your difficulties. If you agree, a treatment plan will be laid out and discussed. What kind of therapy will I be getting? In clinical work, Dr Harrison combines multiple types of evidenced based practices including Cognitive Behavioural Therapy (CBT), Mindfulness Therapy and Acceptance and Commitment Therapy (ACT). The specific type of therapy you will receive will depend on what works best for you as a person and what type of therapy is clinically indicated for your particular issue. What does "evidence based practice" mean? There are many different types of therapies out there. Dr Harrison only provides therapy that is "evidenced based," meaning that sound clinical research shows that it is an effective way to treat a given problem. In other words, it refers to therapy that factually works to help people overcome their difficulties. CBT stands for Cognitive Behavioural Therapy and is frequently referred to as CBT Therapy. From a CBT perspective, the way we think about ourselves, others and the world has everything to do with the way we feel. For example, a person who tends to focus on the negative without regard for the positive is more likely to feel down or irritable. Likewise, a person who worries a lot and makes negative predictions about the future is likely to feel more anxious or tense. These "thinking errors" often create problems and make coping difficult. CBT directly addresses problematic thinking and helps clients to challenge and replace such thoughts with more balanced logic, which in turn ultimately improves mood and enhances coping. We, human beings, spend an inordinate amount of time stuck in our heads. We become attached to remembering what's gone wrong in the past and predicting how it might go wrong in the future. We believe the answer to happiness lies in seeking pleasure and avoiding pain. We tell ourselves stories - "Ill be happy once I have that job, that relationship, that house..." Yet, as we secure these goals we've already moved on to the next thing. This pursuit causes us more pain. Mindfulness is a type of therapy which helps clients to re-focus their attention to live the present moment. By accepting the reality of how things are in "the here and now" we learn to tolerate difficult emotions and thoughts as they come up, address them, let go and move on. ACT stands for Acceptance & Commitment Therapy and can be referred to as ACT Therapy. From an ACT perspective, we tend to take our thoughts and beliefs far too seriously. We assume that if a thought comes to mind it must be fact. "He obviously thinks I don't know what I'm doing," or "I can't trust her, people always let me down." Taking these and similar thoughts so seriously tends to create more problems than it solves because the thinking itself is unhelpful, unproductive and possibly not even true. ACT is a type of therapy that helps clients to understand thoughts for what they really are - less fact and more so our biases, judgments, worries, wishes, wants, fears, needs, regrets, memories... Clients learn how to take unhelpful thoughts less seriously, focus on or cultivate thinking that actually helps them in life and take decisive action towards their goals. How many sessions will it take to get better? This varies from person to person, depending on your specific struggles and the type of therapy that you receive as well as what you're what you're looking to get out of therapy altogether. Most clients typically achieve their personal goals within 10-12 sessions while others may require longer term, ongoing therapy. Your specific needs will be addressed in the first session and throughout therapy if needed. 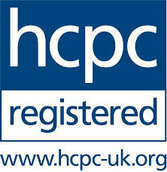 In accordance with the ethical codes of conduct of the HCPC, all sessions are entirely confidential and nothing goes beyond the walls of the consultation office. You may provide informed consent for your clinical information to be shared with your GP, Consultant Psychiatrist, health care provider, friends or family members but this is entirely up to you. The only time that your confidentiality would potentially be breached is if you were seen to pose an immediate threat to yourself or others (e.g., actively suicidal) or if your clinical notes were subpoenaed by a court of law. Even in such circumstances, however, initial attempts to secure help for you with your permission will be definitely be made. Dr Harrison is a fully qualified Consultant Psychologist, recognised in both the United Kingdom and the United States. She is accredited by the Health & Care Professions Council, the British Psychological Society, the American Psychological Association and the New York Board of Professions. She was additionally trained in CBT at the world renowned Beck Institute. Dr Harrison has more than 12 years of experience working clinically with clients and is always furthering her professional development. Can Dr Harrison prescribe medication? Dr Harrison does not directly prescribe medication but is well informed on the option. If you are interested in taking psychotropic medication, this can be discussed in great detail in therapy. If you believe medication is a viable option for you, a referral for a trusted Consultant Psychiatrist will be provided for you alongside psychological therapy. Can I speak to Dr Harrison in a crisis? It's understandable that you might face some intense difficulty between sessions and Dr Harrison will consult with you via phone or email if needed and if possible. It's important to note, however, that Dr Harrison does not provide acute psychological treatment. In the event that you might have an immediate emergency please contact emergency medical services (999) or go to your nearest A&E. Does Dr Harrison offer discounts? Dr Harrison does accept a limited handful of clients for a reduced fee, dependent on income. You may be asked to provide proof of your income to determine eligibility. These slots tend to be booked in advance and you may be placed on a waiting list for the next available slot to open. Please note that reduced fee slots are available between the hours of 10am - 4pm. Please call or email for details and availability. Does Dr Harrison offer therapy for children or adolescents? Dr Harrison takes on clients who are 16 years of age and older. If you have a child who is younger than 16 a referral can be provided for you. It is required that all sessions be paid for in advance. After booking an appointment you will receive an electronic, secure invoice via email, requesting payment for your upcoming session. You are required to make payment within 48 hours of receiving this electronic bill. Dr Siri Harrison is recognised by most major private insurance carriers including AXA PPP Healthcare, PruHealth, Simply Health, Cigna, Aviva and Standard Life. If you have private insurance, arrangements will be made for direct payment by your insurance carrier. Please note that some insurance companies may require that you have a one time consultation with a Psychiatrist prior to beginning psychological therapy. In such cases, a referral for a Consultant Psychiatrist can be provided for you. Do I have to pay if I don't attend? Dr Harrison maintains a strict 24 hour cancellation policy. Appointments cancelled without 24 hours notice will be charged in full. Nonetheless, there is an understanding that life is unpredictable and things do happen. In such cases, attempts will be make to re-schedule your appointed within the same week at your usual charge. It is important to note, however, that rescheduling is subject to appointment availability and may not always be possible.